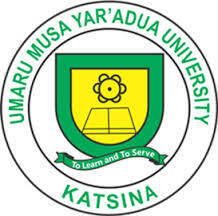 This is to notify the general public that The Umaru Musa Yaradua University, Katsina UMYU has scheduled a 2nd Aptitude Test Screening for both Post-UTME and Direct Entry [DE] Candidates for the 2017/2018 session. All Direct Entry candidates who choose the University on first choice are hereby informed that there will be an online registration and screening exercise. The University also invites candidates who scored UTME 170 JAMB Points and above who changed their institution’s choice to the University and those who missed the first screening and aptitude test to visit the University website to register. Similarly, Candidates who scored UTME 200 JAMB points and above who have not chosen the University as their first choice but are willing to study at Umaru Musa Yar’adua that they can also register for the screening and aptitude test using the web based platform provided for the exercise. Five (5) relevant credits at O’Level (including English and Mathematics). Not less than 9 point in IJMB/ HSC/GCE A level/NCE in the relevant subjects. A minimum of Lower Credit pass in a National Diploma. Scored a minimum of 170 marks and above in the 2017 UTME Examination for candidates whose first choice institution is Umaru Musa Yar’adua University. Scored a minimum of 200 marks and above in the 2017 UTME Examination for candidates whose first choice institution is not Umaru Musa Yar’adua University. Candidates are to come along with their payment slip for the screening and aptitude test. All Candidates who sat for the first Post UTME aptitude test are hereby informed to recheck and reprint their post UTME result as all the results have been updated.